There are few places left in the world that can be said to represent the last frontier of tourism…. Saudi Arabia is one of them. Having received a five year, multiple re-entry Visa to the Kingdom in record time, I was anxious to visit Momma at her post on the western coast of the Kingdom of Saudi Arabia. With a total travel time of around 30 hours between Dillon, CO and Udhailiya, KSA, I arrived in Dammam Airport, alhamdulillah (الحمد لله‎). Upon landing at the Daharan airport, change was absolute. From 31 F to 31 C; from being the favored race and gender, to being treated as an inconsequential minor irritant by most male staff. Even my best attempts at being passive were too much for some of them, though others treated me with absolute courtesy and efficiency. Navigating the walkways and busses between airports, I quickly took to following families and sitting near the groups of women. Feeling anxious for not having brought a scarf to cover my head, I was relieved to see the sporadic western face in the sea of hijabs (women’s head covering) and kufiya (men’s headdress). The first act to truly strike me, was on the plane to Dammam. I was aisle seat, a Bangladeshi man in the middle was fascinated by the small screen in the seat before him. He spent the entire time poking at it, delighted when this caused something to happen and mimicking anything he saw either of us doing. This resulted in a 5 minute period of his turning on and off the light(s) and air vent(s) overhead. 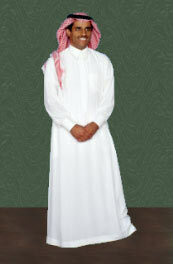 Beside the window was a stately man in kufiya and thawb. He pulled out a Toblerone bar and before enjoying the treat himself, offered some to each of us. Customs was an interesting experience in which one paunch belly security fellow shuffled people and lines around, sifting Muslims, with preference given to Families with small children and elders first. Somehow I ended up in the “See Men Crew” line and looked around to find everyone had made it through except the 3 Americans and a pack of about 50 immigrant workers. They got the two men through, then me. Om waited amoung the black clad women and we launched into one another’s arms, all was right. I’m pictureing your “best attempts at being passive”, and failing at my best attempt at not smiling. I recall that moment as well. Then they all let me cut in line and had this funny moment, in attempting to sort of follow/find security in this family of women, a button lay on the ground at our feet and I picked it up. Had no words to get their attention, unsure if I should touch them, so walked around in front with the button cupped in my two hands and attempted to present it to them. It was not their button. I still have it. Are you missing a button?